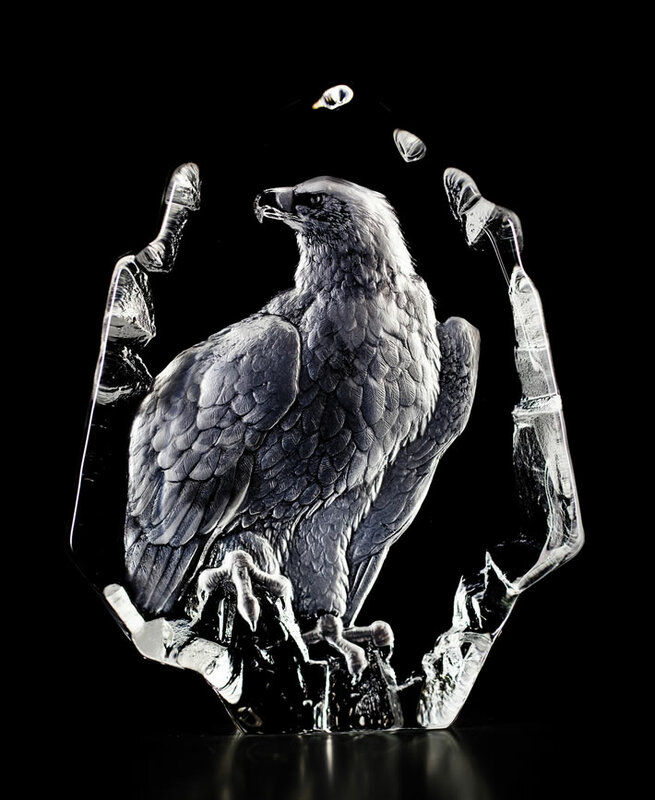 Combining an enthusiastic love of nature, incomparable craftsmanship, and the finest grade of Swedish art glass, the award winning Mats Jonasson Crystal Studios creates stunning crystal wildlife sculptures with exceptional beauty and detail. Blown, etched and polished by the hands of master artisans, these exquisite sculptures capture and reflect the light, radiating elegance. Perfect for individual collectors or as corporate awards and gifts, each piece comes nicely gift boxed including a biography of the artist.